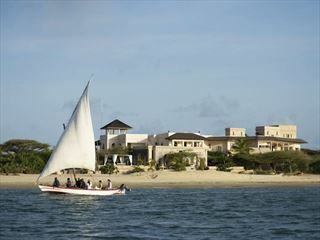 One of our favorite packages mixes the best of the Kenya beach with a 5 day safari to view the Migration. This 4 night safari takes you into Amboseli National Park and the Maasai Mara for staying at 2 exclusive camps, activities include game drives in 4X4 vehicles, walks with guides, night game drives & sundowners. 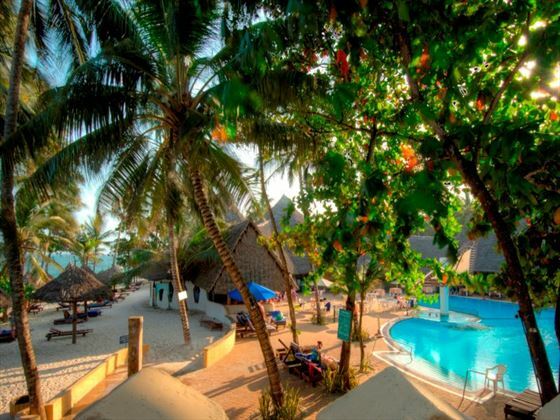 After the safari fly into the Malinidi, to enjoy a final few days at Turtle Bay Beach Club, a super all inclusive hotel with excellent facilities located on the edge of the Marine Park at Watamu. Met on arrival at Nairobi Airport and transfer to Amboseli National Park to arrive just before lunch. Spend the afternoon on your first gamedrive before dinner and overnight. Awake to the noisy calls of the birds. After an early breakfast, we drive through the bush on our private track into Amboseli National Park, for a full morning of game viewing. Following a picnic lunch in the park, we return to Porini Camp later in the afternoon. In the evening you will go on a game drive in Selenkay Conservancy where you will return back to camp just before dinner. After breakfast you will be transfered back to Wilson for your flight into the Maasai Mara. You’ll be met at the airstrip by Mara Porini staff and transferred to camp. Settle into your tent and enjoy lunch prepared by the camp chef. Afternoon game drive in the Ol Kinyei Conservancy, followed by a sundowner at a scenic spot. Return to camp for a shower, dinner and overnight. Awake to the natural sounds of the Mara’s birdlife. After an early breakfast, go on a morning walk in the Conservancy escorted by Maasai warriors and a guide, returning to camp later in the morning. In the afternoon you will go on a game drive to explore more of the Ol Kinyei Conservancy on the lookout for elephants, buffalo, giraffe, plains game and the big cats, followed by a night game drive after dinner to search for nocturnal animals including the elusive leopards which are resident in Ol Kinyei. Early breakfast before the flight back to Nairobi for your flight onto Mombasa. On arrival you will be met and transfer to Turtle Bay Beach Club for your first night on the beach on an All Inclusive basis. 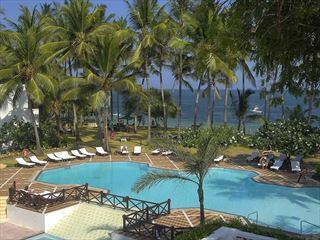 Spend the whole day at Turtle Bay Beach Club before your flight back to London Heathrow via Nairobi. 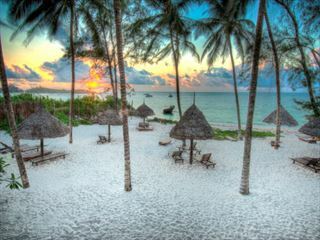 Situated on a 200m stretch of white-sand beach in the Marine National Reserve in Watamu, Turtle Bay Beach Club is a relaxed resort where you can really immerse yourself in the breath-taking landscape. The prime beachfront location means watersports, sailing and sunbathing are all easily accessible – perfect for fun-filled getaways. The staff here are attentive and friendly, making for a really peaceful ambience around the resort. If you like to keep active, there’s plenty going on here – both on land and in the warm waters. Choose from the floodlit tennis court, mini golf and bicycles, to snorkeling and sailing around the coast. There are also three restaurants to choose from, in addition to a poolside snack bar. 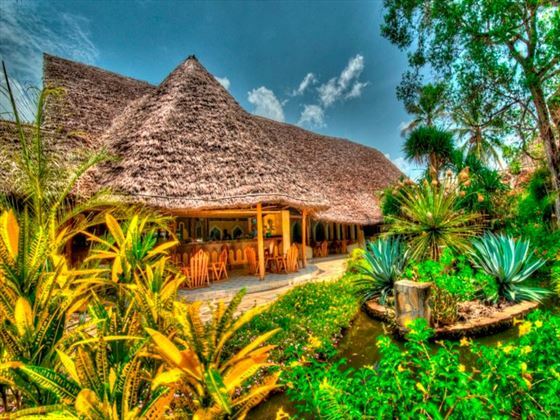 We are very proud to announce that in September last year Turtle Bay became the first property of its kind in Kenya to be awarded the prestigious Gold standard by EcoTourism Kenya, the highest grade possible for all round ecological management.